Rajasthan Public Service Commission (RPSC) has released notification about release of online admit cards / call letters for written examination which is schedule on 21st February 2015 for 3839 posts of Physical Training Instructor (PTI) Grade II & Grade III at Ajmer, Jodhpur and Udaypur centres in Rajasthan. The Latest News is that RPSC has released admit cards for RPSC PTI Exam 2015. 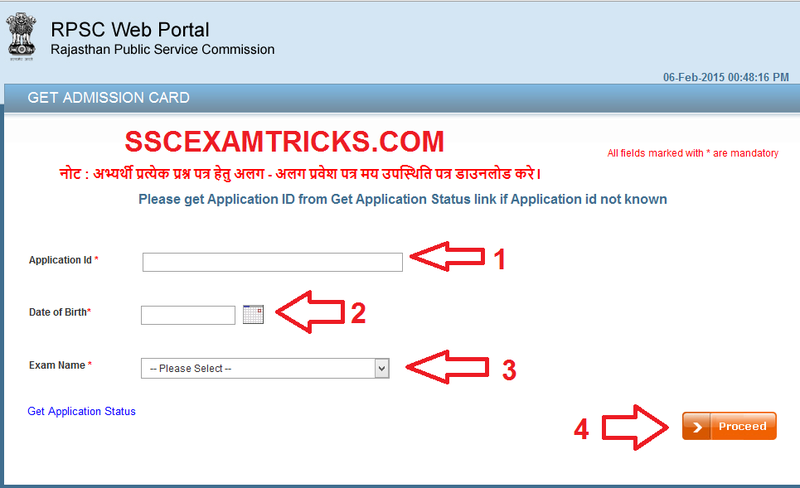 Those candidates who have applied for the exam and waiting for the online admit cards / Call letters for written exam can download their admit card on the direct link provided in the end of the post. Admit card is mandatory card which is required to appear in the written exam. There will be no possibility to appear in written examination without admit cards. So All the candidates must bring their admit card to appear in written examination. Second important point which all the candidates are required to remember that late coming candidates will also be not allowed in examination hall. Take photo identity proof such as Voter card ID or PAN card ID along with hard copy of admit card duly affixed coloured passport photograph same as it was used for application form. No items other than these will be permitted in the examination hall. Earlier, RPSC had released notification 8/Exam/2013-14 against recruitment of 3839 vacant posts of Physical Training Instructor Grade II & Grade III on 18th September 2013. The last date for application was 20th October 2013. 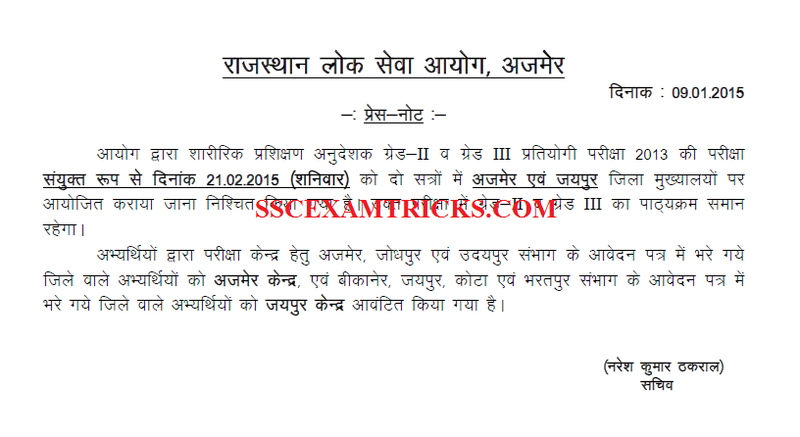 Latest notification released by RPSC dated 09th January 2015 those candidates who had filled exam centres Ajmer, Jodhpur and Udaypur will have to attend exam at Ajmer Centre and those candidates who had filled exam centres Bikaner, Jaipur, Bharatpur and Kota will have to attend exam at Jaipur Centre. The written examination will be conducted on Pen Mode. An OMR Sheet will be provided to darken circles by the blue/black ball point pen as answer for the question which will be asked in the question paper. The examination will be conducted for three hours and 40% marks are required to qualify written examination.